Today is full of fun fashion activities. I can't wait! Fall may soon approach, but summer style is still very needed. I wore this colorful look a few weeks back, but it could make a repeat appearance. I love how easy and eye-catching this vintage style feels. Dakota looks equally picture-esque in her dress. We had the same idea when it comes to decorative florals. 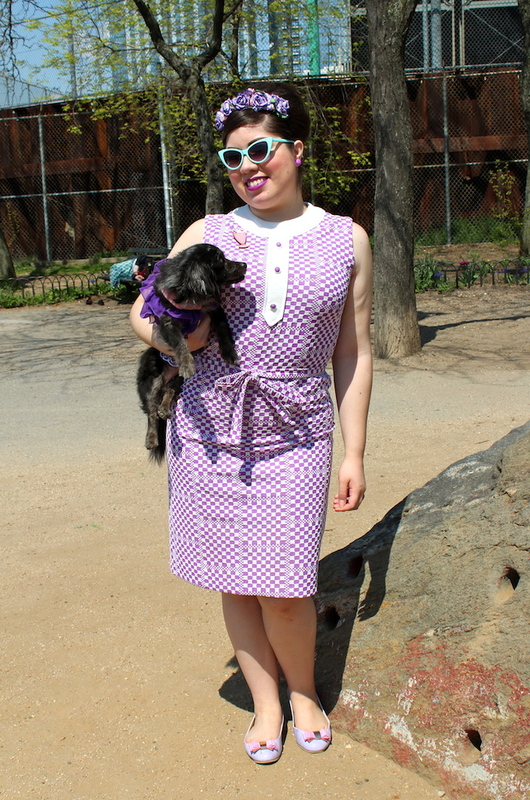 It made for fabulous impromptu photos in a lovely Greenpoint park. 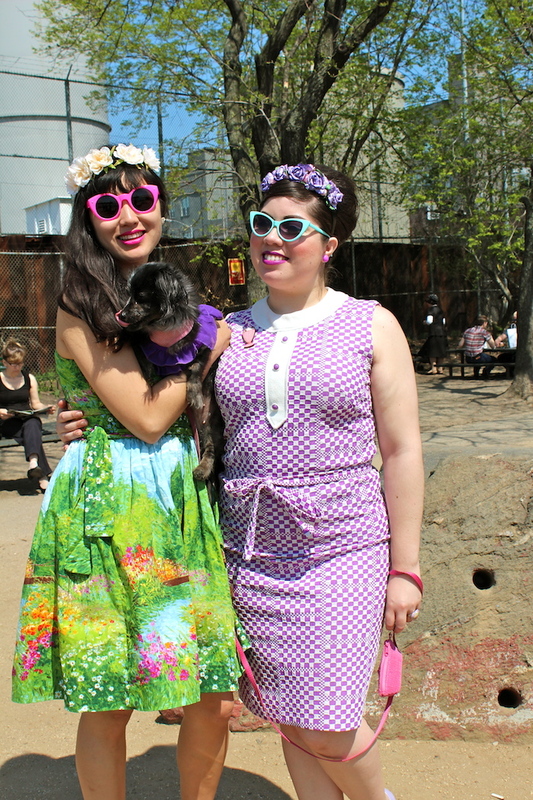 Even Tallulah is gussied up matching her mama in purple ruffles!